“Billie Jean” is a song by American recording artist Michael Jackson. 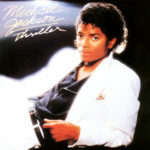 It was released by Epic Records on January 2, 1983 as the second single from his sixth studio album, Thriller (1982). It was written and composed by Jackson, and produced by Quincy Jones and Jackson. “Billie Jean” was one of the best-selling singles of 1983 and became the biggest-selling single for Jackson as a solo artist. It helped propel Thriller to the status of the best-selling album of all time. In the United States, the song remained at number one on the Billboard Hot 100 for seven weeks. It also reached number one in the United Kingdom and several other European countries, and reached the top-ten in many other countries. The song was awarded numerous honors, including two Grammy Awards and an American Music Award. 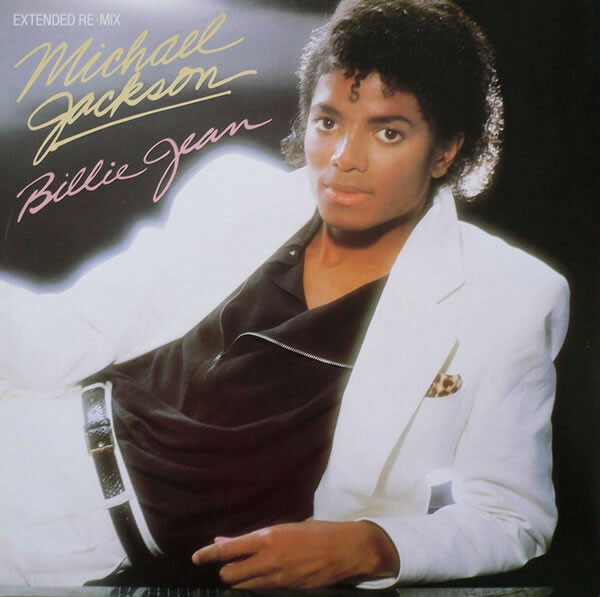 “Billie Jean” also remains a critical favorite; in 2004 Rolling Stone magazine placed it at number 58 on its list of the 500 greatest songs of all time. The song is about a woman, Billie Jean, who had spent a night of passion with the narrator and now claims that the narrator is the father of her newborn son; he insists that “the kid is not my son”, although the song leaves open the possibility that he is indeed the father. Jackson stated that the song was based on girls who had made the same claim about his older brothers, when he toured with them as part of The Jackson 5. However, some have theorized that the song is based on Jackson’s own experience with a crazed fan. The song’s spare, bass-driven arrangement helped to pioneer what one critic called “sleek, post-soul pop music”. It also introduced a more paranoid lyrical style for Jackson, which would become a trademark of his later music. The choreography and costume that Jackson adopted for performances of “Billie Jean” would become widely admired and imitated. He premiered them on the TV special Motown 25: Yesterday, Today, Forever, which aired in May 1983; his performance of “Billie Jean” won great acclaim, and was nominated for an Emmy Award. That performance introduced a number of elements which would become indelibly associated with Jackson, including the moonwalk dance move and wearing a single white sequined glove. The song’s music video, directed by Steve Barron, played a large role in the early history of the cable channel MTV. It was the first video by a black artist to be aired on MTV in heavy rotation. Also, the video, along with the two other videos produced for Thriller, helped to cement the channel’s cultural importance, by establishing a well-crafted music video as an integral part of the marketing of any pop single.